Is it in with the old, and out with the new? Two new surveys suggest that the secondhand clothing market could overtake the fast fashion movement before too long. 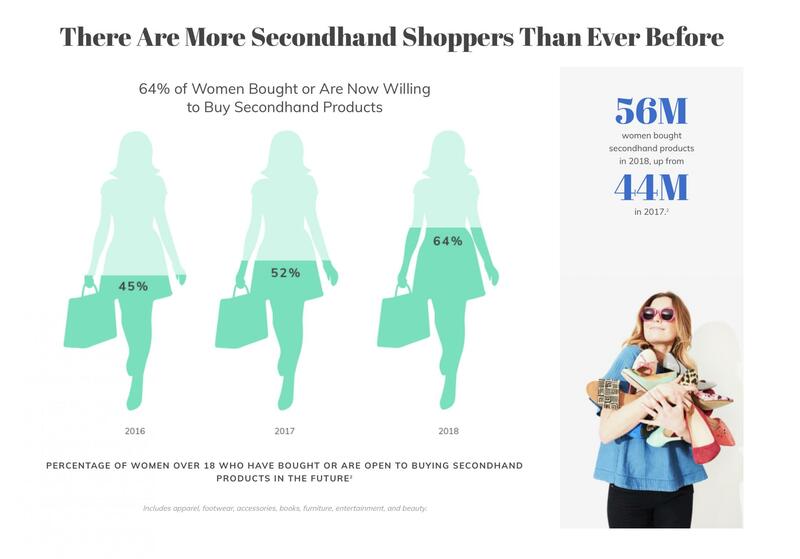 According to the latest annual fashion resale report by US secondhand clothing retailer Thredup, the market is booming. 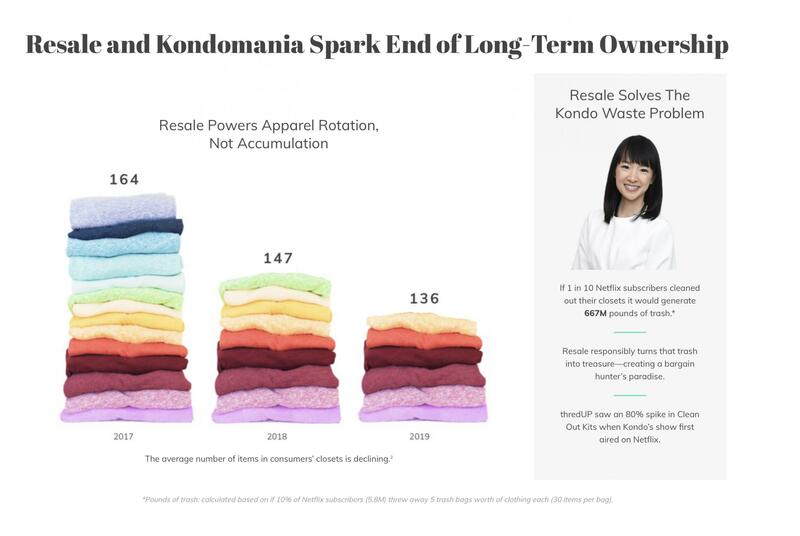 Thredup reports that, over the past three years, resale has grown 21 times faster in the US than ‘apparel retail’. The value of the secondhand market, which is currently worth $24bn (£18bn) there is expected to reach $51 billion (£39bn) in five years. 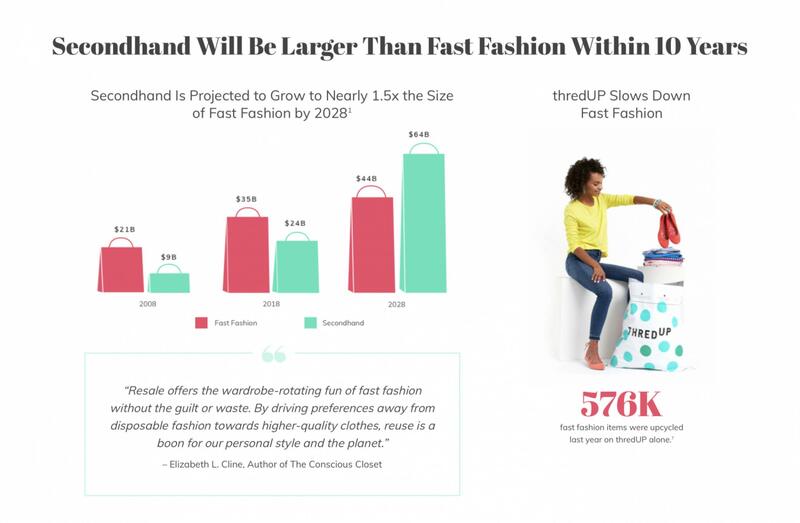 Thredup suggests that the resale market will overtake fast fashion if it continues to grow at this rate. 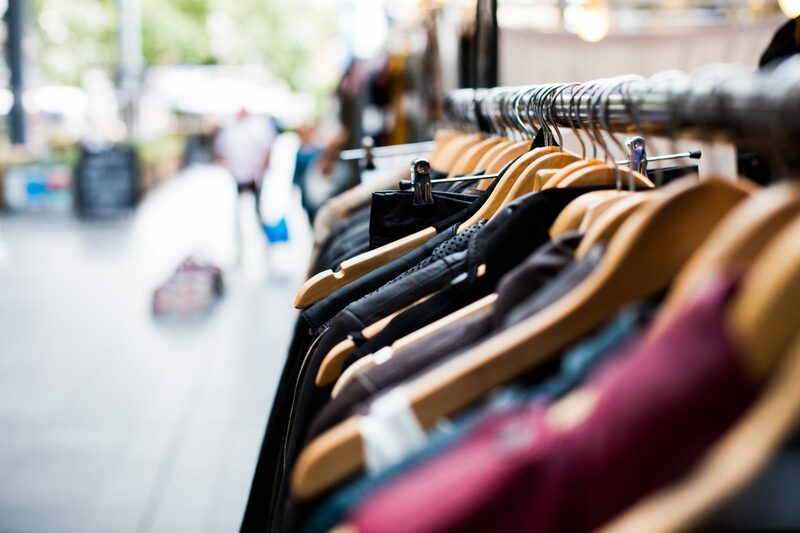 Meanwhile in the UK, in a poll conducted by waste management agency BusinesWaste.co.uk, 45 per cent of the 1,500 respondents said they would buy pre-owned clothes. Fast fashion focuses on regularly changing clothing ranges, cheaply made garments and low prices. It has experienced a boom in recent decades, as fashion conscious shoppers became accustomed to having the latest look. But it also results in many tonnes of clothing, much of which is made from non-recyclable fabrics, being sent to landfill. 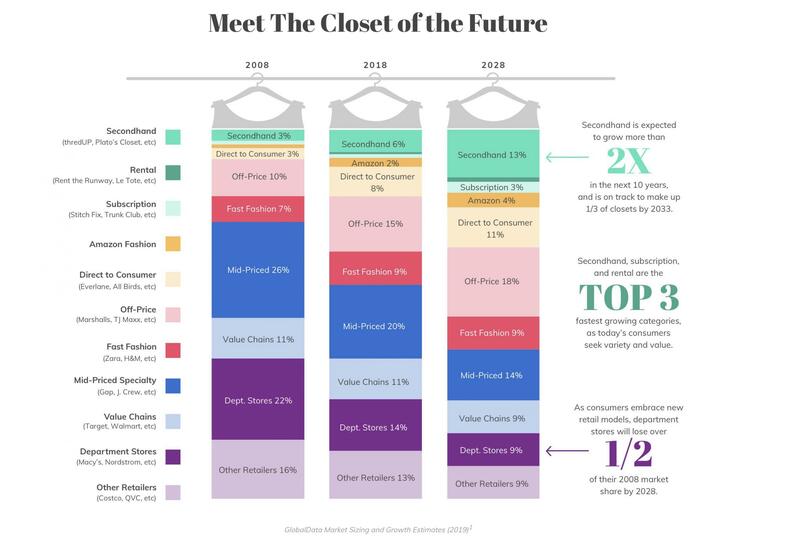 When asked what would encourage them to buy more secondhand clothing, 90 per cent of respondents to the UK survey said that friends or family doing so first would encourage them to make the shift. 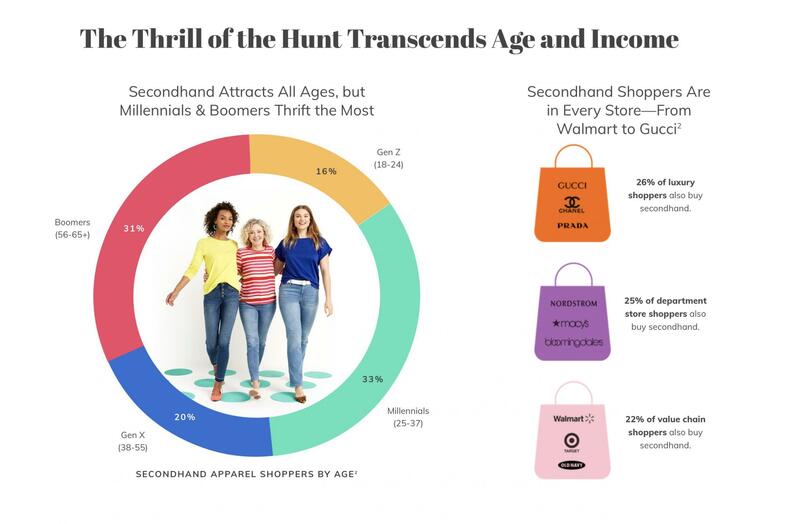 While both younger and older fashionistas were seemingly happy to shop secondhand – 80 per cent of 16-21 year olds and 91 per cent of people aged over 60 respectively – the overall rate averaged at 45 per cent. Mark Hall, communications director of BusinessWaste.co.uk, suggested there are cultural elements at play. 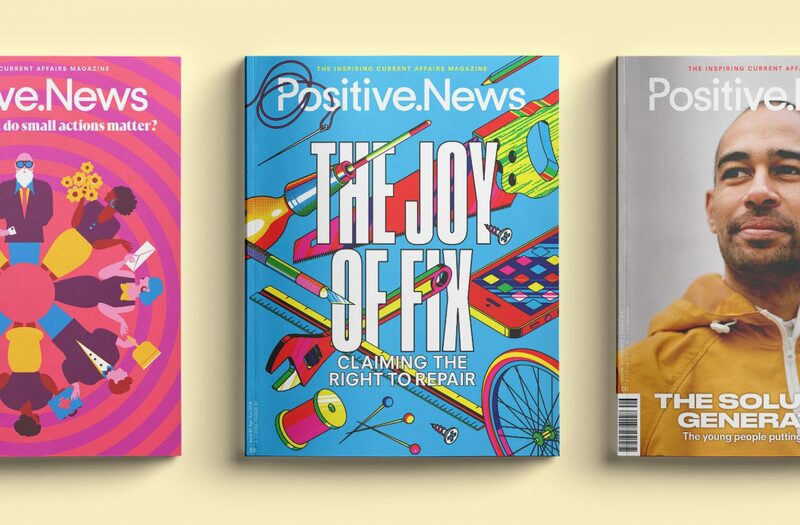 “Older people are used to buying clothes that were made to last and passing hand-me-downs through families, which explains this age group’s willingness to buy secondhand,” he told Positive News. Of those who said they would be happy to buy secondhand garments, they reported charity shops still carrying a slight stigma. Only 62 per cent said they would be happy to buy from charity shops. Hall added: “People are turning to secondhand clothing, not just out of financial necessity, but out of choice. 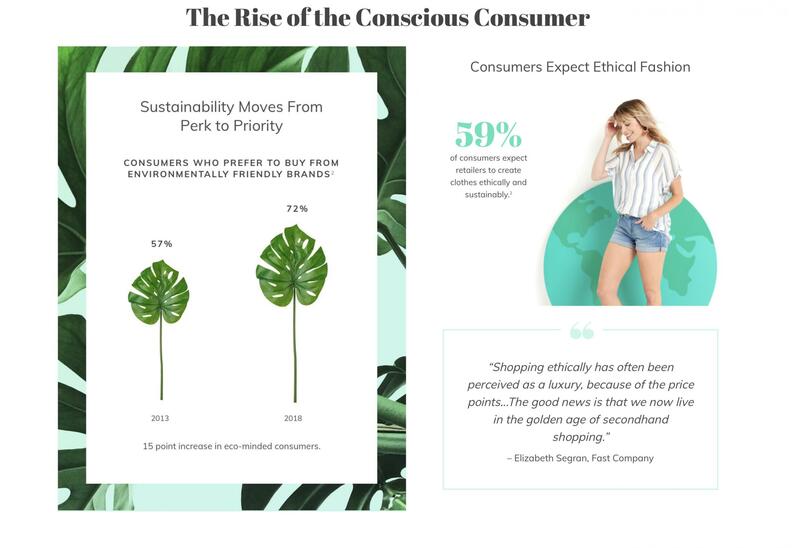 There’s a huge opportunity here for retailers to improve their green credentials and tap into a growing number of consumers who would like to buy stylish clothing, but without the ethical concerns. A sea change in fashion?